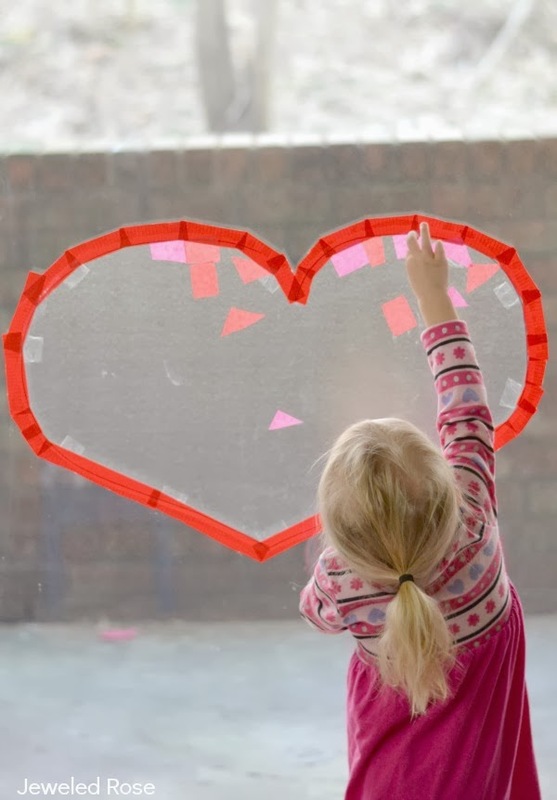 This heart sun catcher craft was a big hit with my girls and kept them occupied on a long day stuck inside. 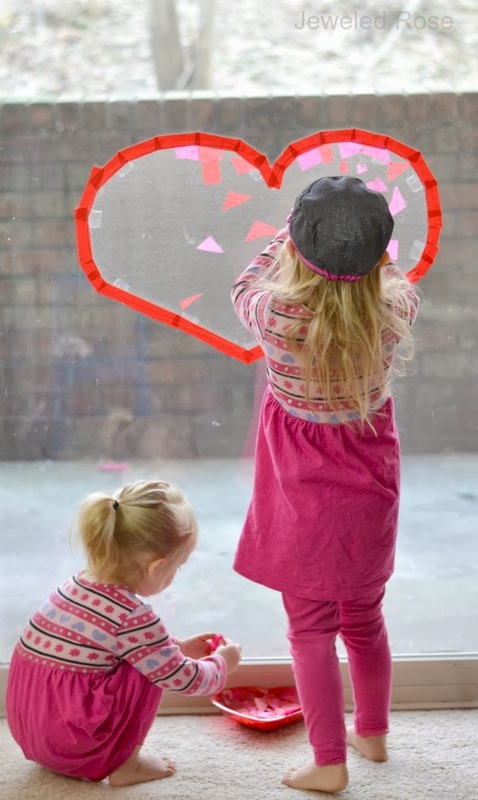 We kept this craft set up all day, and Rosie and Jewel returned to add to their sticky heart collages throughout the day. 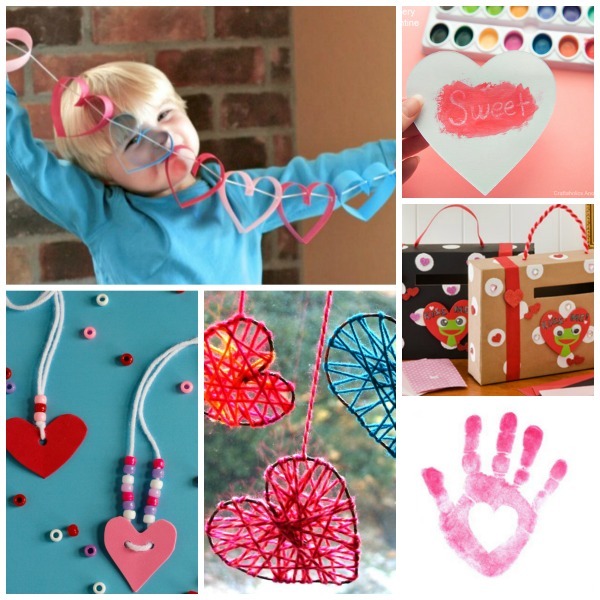 All you have to do for this activity is draw a heart or hearts on contact paper. Then, cut them out and tape them to a window with the sticky side of the contact paper still covered but facing out. 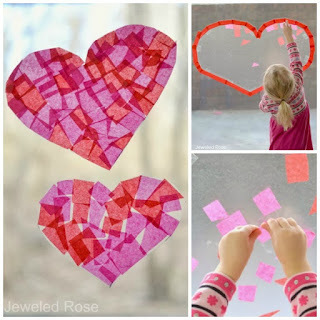 Once the hearts are taped up remove the protective paper, and you will have sticky hearts! 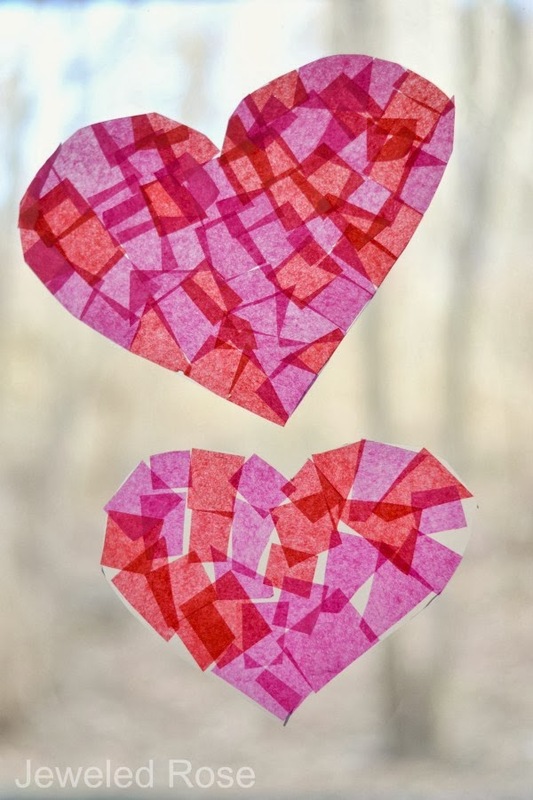 Give kids tissue paper pieces, and they will delight in sticking the pieces to the heart(s) to make their very own collage. 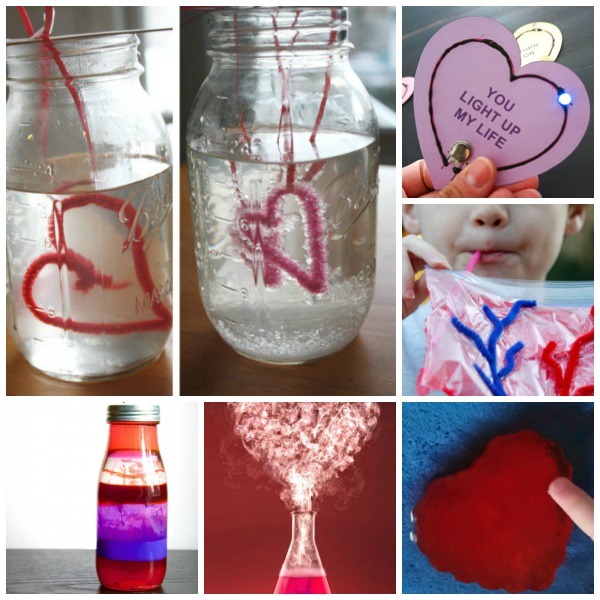 My girls loved this activity so much that we ended up making several sticky heart collages. Once Rosie and Jewel were done we were left with beautiful heart sun-catchers that perfectly decorate the windows for Valentine's Day. 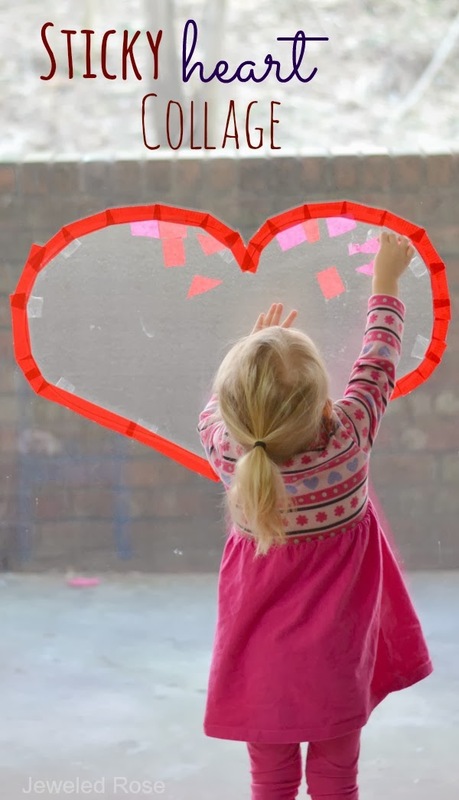 A Few Tips: You only need a few pieces of masking tape to hang these in the window. 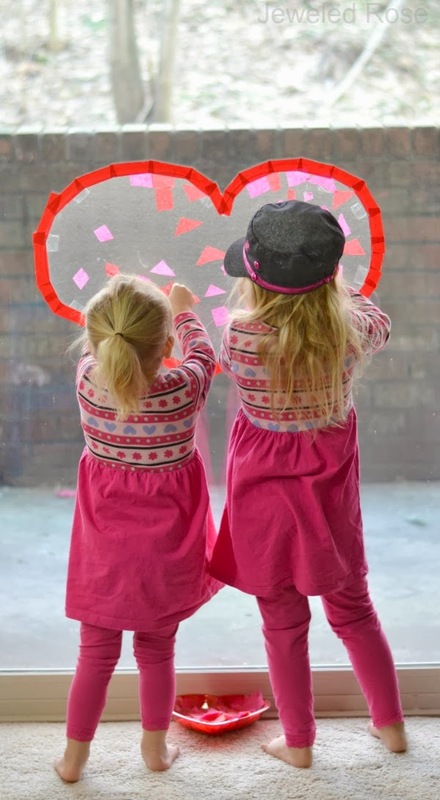 I outlined the first big heart collage the girls made with red tape just so that they could clearly see that it was a heart they were filling in. The red tape is not needed at all though. Contact paper can be found in the home improvement aisle of Walmart/Target as well as most school supply aisles. 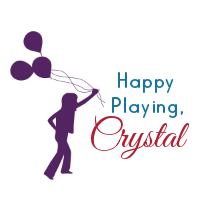 It can also be found online here. 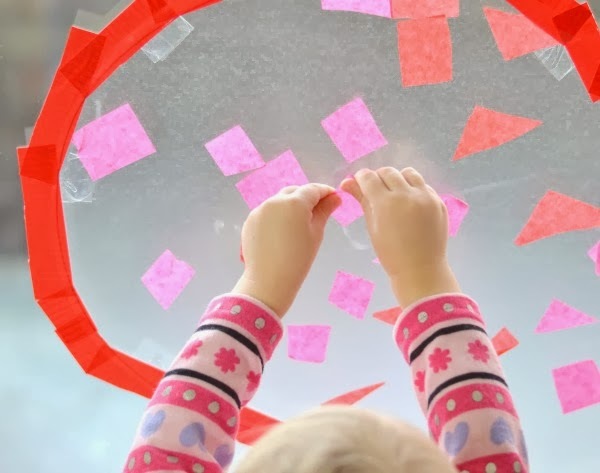 For this activity we used regular tissue paper and cut it into pieces, but you can also buy pre-cut tissue paper squares at most craft stores or online here.